$50 gets you the Keys to the Craft Room!!! Sign Up and Save! | Midnight Crafting Midnight Crafting: $50 gets you the Keys to the Craft Room!!! Sign Up and Save! $50 gets you the Keys to the Craft Room!!! Sign Up and Save! New Demonstrators Sign Up for $50 - Limited Time Offer! I'm looking for a few good crafters to join up this month!! There is a sign up special going on, until the end of June, that will knock your socks off!!!! Do you love DIY and Crafts? Do you want to get supplies at a Discount? 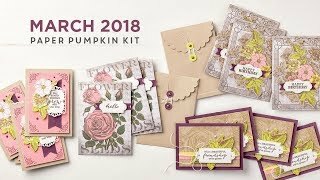 You'll get to use your DISCOUNT on all our exciting new products - Project Life, Blendabilities; everyday products you'll love to use - paper, stamps, envelopes, ink; specialty tools that make your crafting easier - paper trimmer, scissors, adhesives, punches, scoring tools, the Big Shot!! You get an extra 10% off your first order over $150 placed in your first 45 days, thats 30% off all the stuff you've been putting on the wish-list! Stampin' Up! ordering is secure and available online 24 hours a day, no planning a trip to the craft store to pick up supplies. Shop in your PJs! Stampin' Up! Products are recognized as excellent quality! Not just for the manufacturing, the color consistency, the durability and archival quality, but for the variety of uses and ease of use! Color coordination across product lines means you'll always be able to have the most put together and professional look on your creations! Previous Demos are WELCOME! I'd love to have you on my team! There are so many new and exciting products, ways of doing business, different areas you can specialize in or focus on... Come be a part of my team, and lets get geared up for the Holidays! Hobby Demos are WELCOME! You do Not have to set yourself up as a business, you can enjoy the perks of being a "hobby demo" - pre-orders on Holiday catalog items, free training in new products and techniques, creative forums for ideas and assistance, free craft sessions with our group, a team - and whole network! - of wonderful demonstrators who are passionate about crafting JUST LIKE YOU!! Be the first to find out about - and use - New Products! NEW crafters are WELCOME! Not familiar with Stampin' Up! and all the crafty goodness we have to offer? Love crafts and DIY projects? Like Digital crafting or Scrapbooking? Always WANTED to make stuff, but don't know where to start? There is a place here for you! Stampin' Up! is going strong, celebrating 25 years last year, and looking to expand and grow in the future! You would be part of a thriving creative company! 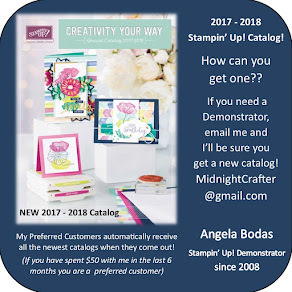 I would LOVE to discuss the benefits and details of joining Stampin' Up! as a Demonstrator! $50 gets you the "Keys to the Craft Room" - and from there the possibilities are up to you! :-) Let me know your questions, I am serious when I say this is a good deal!! Just Click on Join Now and start your new adventure! !